Selecting the proper wedge for a particular type of player by the measured bounce angle simply does not work. The bounce angles listed on a wedge do not account for sole width, sole radius, leading edge height or leading edge grind. All of these design characteristics influence the effect bounce of a wedge. 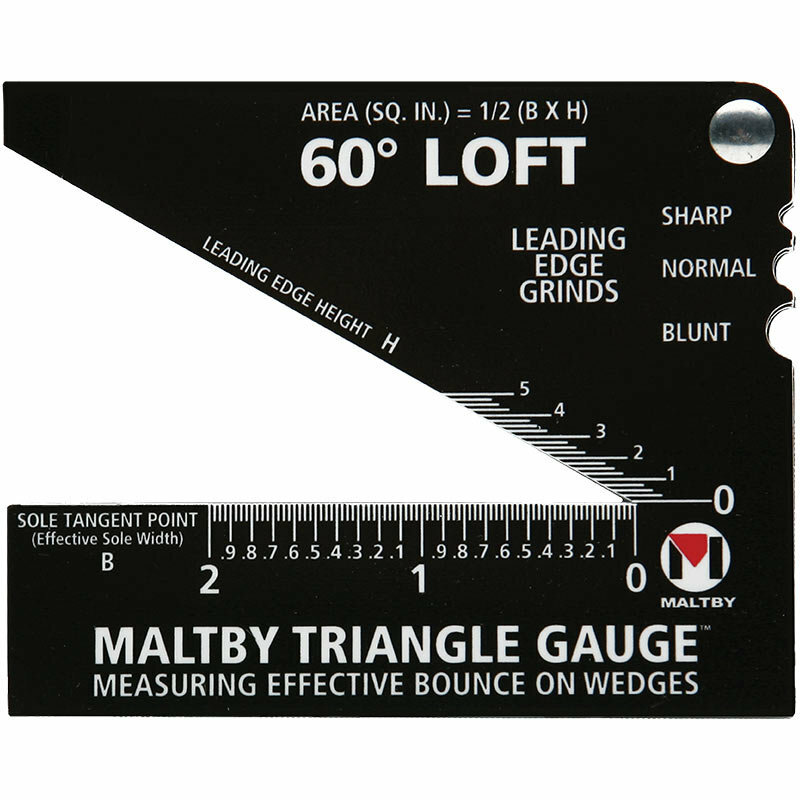 The Maltby Triangle Gauges now offer the club fitter a definitive way to measure and compare the “effective” bounce of any wedge. With this knowledge, the club fitter can easily select a wedge to perfectly fit the characteristics of any golfer. Manufactured from durable .030″ White Syrene. Also available, a 1 hour information packed DVD; Learn All About Wedges. Set includes: 54°, 55°, 56°, 57°, 58° and 60° Triangle Gauges.